Dr. Jones' Inner Circle Annual Membership gives you full access to Dr. Jones' Inner Circle Membership website - Save 20% Per Year with our Annual Membership. See below for a complete description of our Inner Circle Membership. BEST SAVINGS - Save 35% by choosing an Annual renewing Membership - just choose Annual under 'Subscription type'. Or, leave as 'No subscription' for a single Year Membership that expires without renewing. You can cancel any membership any time, from within your Customer Account or by contacting support. Dr. Jones' Inner Circle Annual Membership gives you full access to Dr. Jones' Inner Circle Membership website. You can choose a single Year Membership that expires without renewing, or (for the BEST SAVINGS) an automatically renewing Annual membership (just choose Annual under "Subscription type:"). LIVE Natural Pet Health Coaching EVERY WEEK! Every week you'll have exclusive access to my live group coaching sessions via Webstream. In these live sessions, I will give you the latest, emerging natural remedies you need to finally solve your dog or cat's health problems at home. 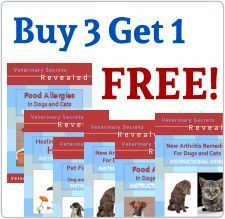 That includes what natural remedy really is working now, precise step by step instructions, what not to do, what to feed, what not to feed, covering all aspects of holistic veterinary care. Plus, I will be answering any questions you have (which you will submit via our Livestream Question Form on the Inner Circle). And of course, every session is recorded so you get access to all replays, for as long as you remain a member. Access to ALL of my current and past information in one place - my current YouTube Videos, Newsletters, Blog Posts and Podcasts. A New Article on a current dog and/or cat health topic regularly, 2 - 4 times per month. Huge Database of Previously Answered Questions - find answers right away! Your membership renews every year, charged automatically to your credit card or PayPal account. And if you choose not to remain a member, you can cancel your membership within your Customer Account or by just sending us an email - we'll cancel your membership right away, no hassles, no questions.